Hosted by the FAIR Institute and Carnegie Mellon University’s Software Engineering Institute (SEI) and the Heinz College of Information Systems and Public Policy, the 2018 FAIR Conference brings leaders in information and operational risk management together to explore best FAIR practices that produce greater value and alignment with business goals. Interested in on-site FAIR training? Head to FAIRCON18 early to attend an on-site FAIR Analysis Fundamentals Course, October 14-15, for those that elect to partake in this optional conference add-on. 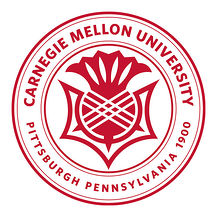 Carnegie Mellon’s Heinz College and Software Engineering Institute offers the CERT cybersecurity Division, the world’s No. 1 ranked graduate program in Information Security, Policy, and Management, as well as groundbreaking executive education programs for CISOs and Chief Risk Officers. These two leading institutions are helping organizations move from a compliance based approach to cybersecurity to a business-aligned, risk-driven methodology, by leveraging their complementary standards, FAIR and Octave, CERT's method to assess an organization's information security needs. Already a FAIR Member? Enjoy FAIRCON18 at a discounted rate, on us. Note: After ticket purchase, membership status will be verified to confirm your seat is reserved at members-only pricing. Not a FAIR Member? Become a member (yes, it's 100% free!) and take advantage of our FAIR Member discounted pricing for FAIRCON18 today! Become a FAIRCON18 Corporate Sponsor! Join the FAIR Institute in transforming the industry with FAIR. Click to check out our Sponsorship Opportunities!